Rich Snippets aren’t google ranking factor and doesn’t allow directly improve links positions in SERP, but they allows greatly improve CTR (click-through rate) and traffic. Using Rich Snippet for e-commerce allows you to significantly increase the CTR in SERP and as a result attract more customers to your store. In Magento 2 only two of six key snippers are supported, and it is obviously not enough. More and more store owners decide to go worldwide and spread their influence overseas instead of staying just a local business. It’s wise and profitable, but requires some corrections in SEO strategy and tactics. Here I’m going to tell you how to avoid the most common mistakes and add a few kudos to your Google rankings! Why Rich Snippets & Breadcrumbs Are So Necessary For Your Magento Store And What Are They Eventually? Google has additional factors for ranking ecommerce stores. 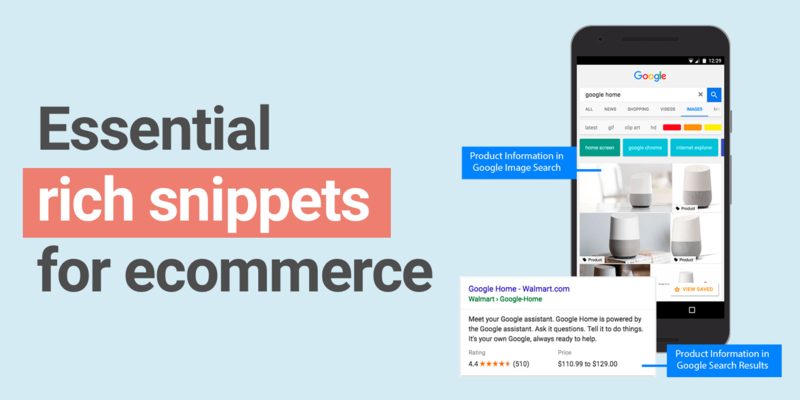 Since rich snippets are recognized by Google, the ecommerce game changed. The Click Through Rate (CTR) for web pages with rating visible on Search Engine Results Page (SERP) is nearly 8.4 times higher than for the ones without any rating. Why is the CTR so much higher? And what those “rich snippets” are all about?